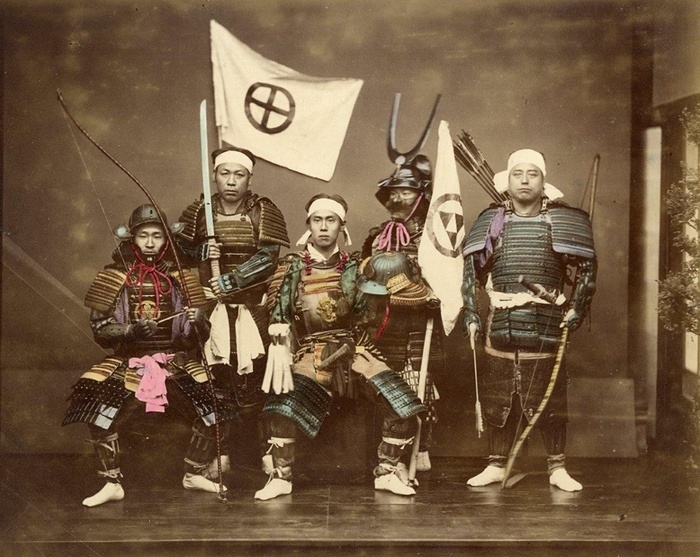 Any fan of samurai movies knows the elaborate lengths some productions can go to in order to recreate the look and feel of old Japan, but globetrotting Italian-British photographer Felice Beato (1832 - 1909) actually managed to capture those days on celluloid first-hand. 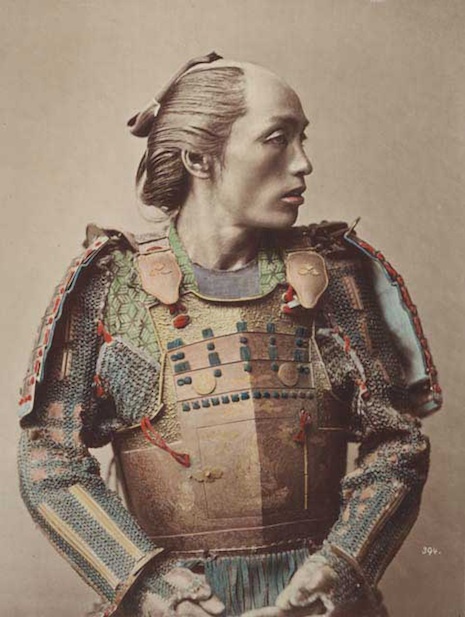 He arrived in Japan in 1863, at the very twilight of the era of the samurai, a time he documented evocatively with a series of hand-colored photographs of subjects like "kimonos, parasols, baby’s toys, basket sellers, courtesans at rest and a samurai gang ready for action," as the Guardian lists them in their gallery of Beato's Japanese work. 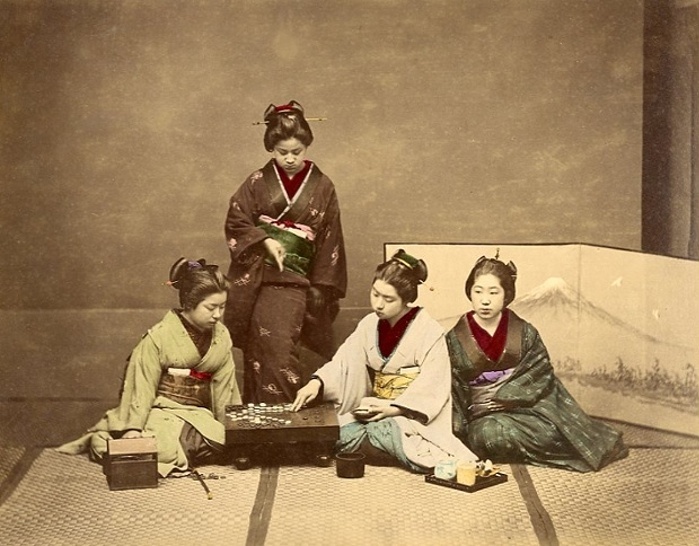 "After spending over two hundred years in seclusion, Japan was being forced by the Americans — under a mission led by Commodore Matthew C. Perry — to expand its trade with the west," writes Dangerous Minds' Paul Gallagher, describing the unprecedented moment of Japanese history in which Beato found himself, one that provided the opportunity to photograph not just the last of the samurais but also the courtesans they loved. But all this had its risks: "Travel was dangerous in Japan," Gallagher adds, "with many of the Shogunate samurai warriors killing westerners," a fate Beato narrowly avoided at least once. 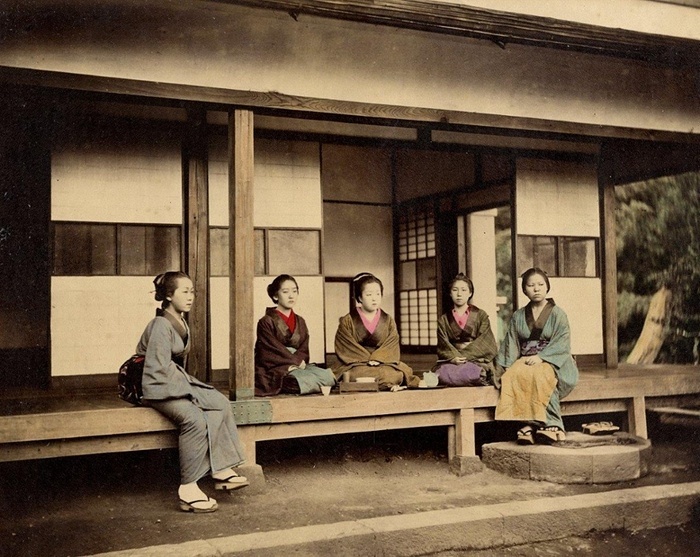 Having photographed in Constantinople, India, and China before Japan, Beato moved on after it to other parts of Asia, including Korea and Burma, before returning to his native Italy at the very end of his life. 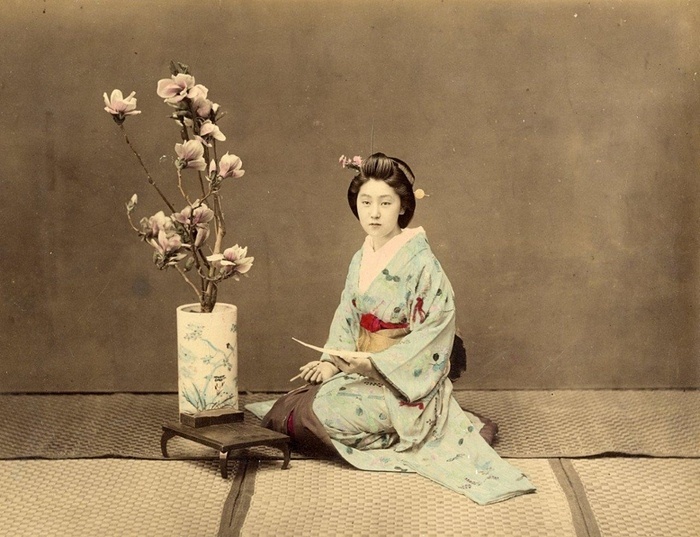 But his pictures of Japan remain among the most striking of his entire career, perhaps because of their artistic use of color, perhaps because of a historical time and place that we think we've come to know through so many sword-and-suicide epics. Their characters, from the honor-bound samurai to the sly courtesan to the simple merchant, can seem to us a bit theatrical as a result, but Beato's photographs remind us that they all began as very real people. Who might they inspire to make a film about their real lives?